Original story: Toward the end of last month, Second Wind—a team competing in Overwatch League’s official minor league, Contenders—made a new roster addition that few fans had heard of before. Their new player simply went by the handle “Ellie,” with her first name and last name never announced and still unknown. This set off a chain reaction of conspiracy theories about her legitimacy, culminating in Ellie leaving the team yesterday. Second Wind, a high-ranked team heading into the Overwatch Contenders season two playoffs, announced that Ellie had joined Second Wind on December 22, at which point the gossip mills on Twitter, Reddit, and YouTube spun to life with a fury. “Who is Ellie?” many fans asked, with some pointing to her relatively low account level and sudden appearance on Overwatch’s ranked ladder as being grounds for suspicion. Some speculated that she was a longtime player who’d switched over to a smurf account in order to maintain privacy, an idea that dovetailed with her apparent decision to not give out her legal name. In contrast, every other player on a Contenders roster has their full name listed alongside their gaming handle on the official Overwatch Contenders website. Some fans believed the mystery about Ellie’s name called her entire identity into question, including her gender. 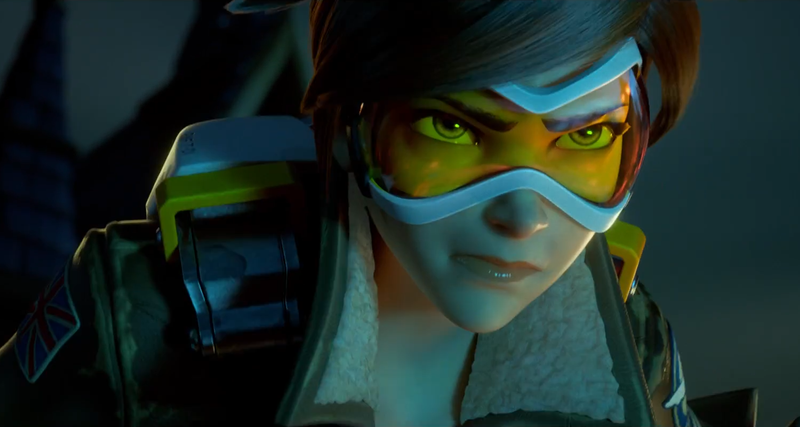 Ellie is one of very few women in Blizzard’s Overwatch Contenders league, and some fans speculated that she could be any number of notable male players impersonating a woman. In answer to these rumors, Ellie played Overwatch on stream and even brought on one player she was suspected of being, a top-500 player named Punisher, to prove that they were different people. In the wake of all this, Ellie stepped down from Second Wind yesterday, offering a simple “sorry” on Twitter. Kotaku reached out to both Second Wind and Ellie for further details, but as of publishing, they have yet to reply. Last night, a message from Second Wind’s Twitter account chalked up her departure as being due to “unforeseen reactions.” Shortly after, Second Wind owner Justin Hughes clarified the situation, saying that Ellie was feeling tremendous pressure from multiple directions. Ellie’s departure from the team has garnered a wide range of responses from the Overwatch esports community. One Overwatch League player, Luís “Greyy” Perestrelo of Paris Eternal, reacted by tweeting “xd” a playful emoticon that implied he was making light of the situation, but he later apologized. Other responses were more celebratory and continued to perpetuate conspiracy theories about Ellie’s identity. Some players have offered messages of sympathy and anger on Ellie’s behalf. Pros like Gladiator Legions player Daniel “Gods” Graeser and Guangzhou Charge player Charlie “Nero” Zwarg reacted with sadness. Washington Justice assistant general manager Kate Mitchell had particularly strong words.